What is slope? If you have ever walked up or down a hill, then you have already experienced a real life example of slope. As you go up hill, you may feel like you are spending lots of energy to get yourself to move. 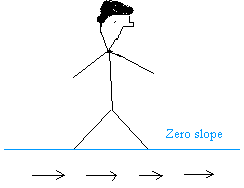 Keeping this fact in mind, by definition, the slope is the measure of the steepness of a line. In real life, we see slope in any direction. However, in math, slope is defined from left to right. I repeat we always measure slope going from left to right. This is very important! If you go from left to right and you don't go up or down, it it a zero slope. 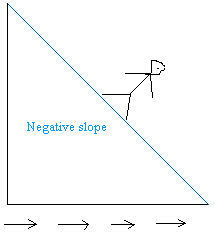 The lesson about slope of a line or how to find the slope will explain what it means for a slope to ne positive, negative, or zero mathematically. Learn how to compute the slope using the rise and the run or 2 points. A thorough explanation of what it means for a slope to be undefined. 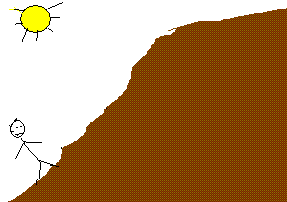 Learn how to graph the slope using the slope and a point. Learn how to find the slope intercept form. Learn how to find the point slope form. 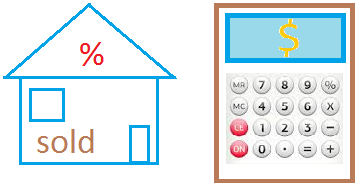 Given two points, this calculator will calculate the slope and the slope intercept form of a line. Find out how to find the midpoint of a line segment using the midpoint formula. A couple of real life examples of direct variation explained. 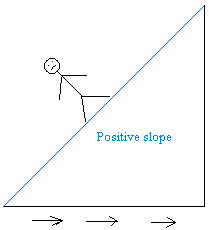 Have A Great Problem About Slope? Do you have great problems about slope? Share them here with the solutions!